IMPORTANT - CAREFULLY READ ALL THE TERMS AND CONDITIONS OF THIS NEO4J LICENSE AGREEMENT FOR NEO4J DESKTOP SOFTWARE (THIS “AGREEMENT“). BY CLICKING “I ACCEPT,“ “CREATE“, OR PROCEEDING WITH THE INSTALLATION OF THE NEO4J DESKTOP SOFTWARE (“DESKTOP SOFTWARE“) OR USING THE DESKTOP SOFTWARE YOU, ON BEHALF OF YOURSELF, OR AS AN AUTHORIZED REPRESENTATIVE OF YOUR COMPANY ON WHOSE BEHALF YOU INSTALL AND/OR USE THE DESKTOP SOFTWARE (“LICENSEE“) ARE INDICATING THAT YOU HAVE READ, UNDERSTAND AND ACCEPT THIS AGREEMENT WITH NEO4J, INC. (“NEO4J“), AND THAT YOU AGREE TO BE BOUND BY ITS TERMS. IF YOU DO NOT AGREE WITH ALL OF THE TERMS OF THIS AGREEMENT, DO NOT INSTALL, COPY OR OTHERWISE USE THE DESKTOP SOFTWARE. THE EFFECTIVE DATE OF THIS AGREEMENT SHALL BE THE DATE THAT LICENSEE ACCEPTS THIS AGREEMENT. 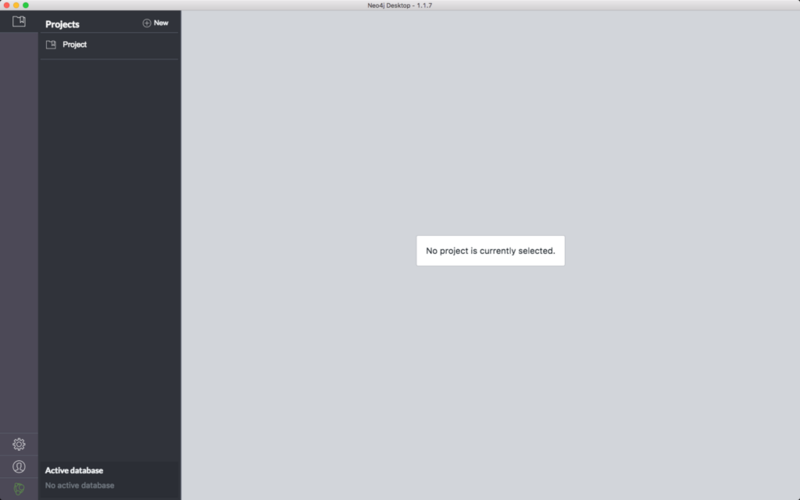 THE NEO4J DESKTOP SOFTWARE INCLUDES NEO4J ENTERPRISE EDITION FOR DEVELOPERS (“DEVELOPER EDITION“) AND MAY INCLUDE THE NEO4J CLIENT APPLICATIONS (“NEO4J APPLICATIONS”) NEO4J BROWSER AND NEO4J BLOOM. 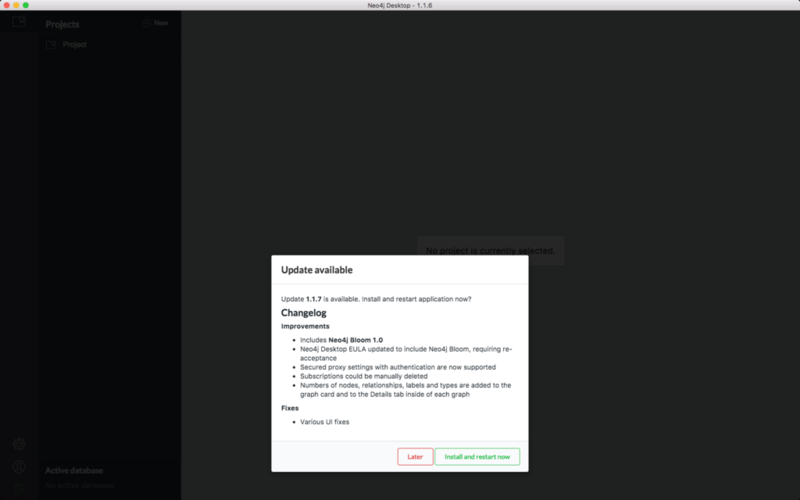 ALL REFERENCES TO THE DESKTOP SOFTWARE ALSO SHALL MEAN THE NEO4J DESKTOP SOFTWARE AS WELL AS THE DEVELOPER EDITION AND NEO4J APPLICATIONS, EXCEPT AS EXPLICITLY STATED BELOW IN THIS AGREEMENT. IF LICENSEE OR LICENSEE’S COMPANY ON WHOSE BEHALF LICENSEE INSTALLS AND/OR USES THE SOFTWARE ALREADY HAS A COMMERCIAL SUBSCRIPTION LICENSE AGREEMENT IN PLACE WITH NEO4J (“SUBSCRIPTION AGREEMENT“), THEN LICENSEE WILL BE CONSIDERED A “LICENSED DEVELOPER“ UNDER SUCH SUBSCRIPTION AGREEMENT AND LICENSEE’S USE OF THE DEVELOPER EDITION WILL BE GOVERNED BY THE TERMS OF THE SUBSCRIPTION AGREEMENT AND NOT THE TERMS OF THIS AGREEMENT. 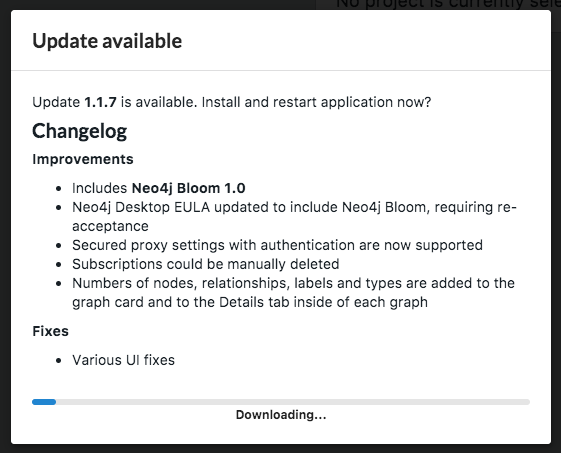 NOTWITHSTANDING THAT NEO4J BLOOM IS INCORPORATED IN THE NEO4J DESKTOP SOFTWARE, LICENSEE IS NOT AUTHORIZED TO USE NEO4J BLOOM UNDER THIS AGREEMENT. LICENSEE’S USE OF NEO4J BLOOM IS SUBJECT TO LICENSEE’S EXECUTION OF A NEO4J BLOOM SOFTWARE ADDENDUM WITH NEO4J. (a) License Grant. Subject to Licensee’s compliance with the terms and conditions of this Agreement, Neo4j hereby grants Licensee a limited, personal, revocable, non-transferable, non-sublicensable, non-exclusive license to use the Desktop Software on a single notebook or desktop machine for a single individual’s internal development use (for him/herself or on behalf of his/her company) for the Term. If Licensee desires to use the Desktop Software on more than one notebook or desktop machine, Licensee may install the Desktop Software on such additional notebook and/or desktop machines provided that Licensee first agrees to this Agreement on the installation of the Desktop Software on the applicable machines. (b) Terms. 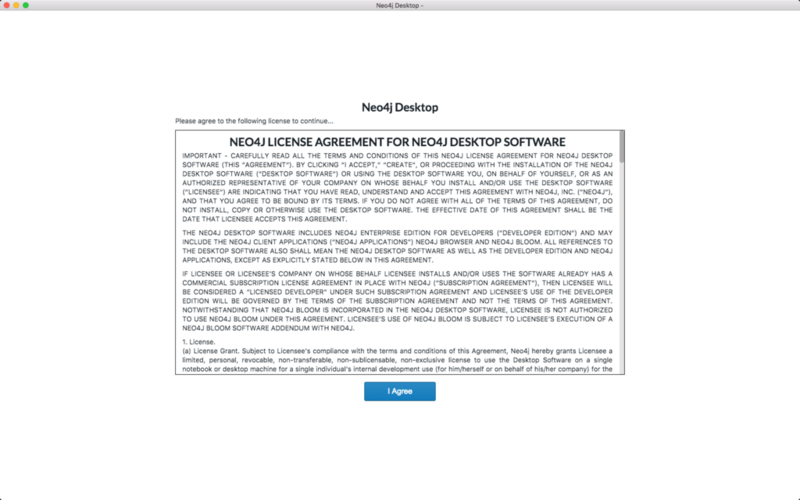 Notwithstanding the fact that Licensee may already have obtained a copy of the Desktop Software from Neo4j prior to the Effective Date for Licensee’s use under separate the Desktop Software license terms such as the AGPL, to the extent Licensee uses the Desktop Software pursuant to the terms of this Agreement (as evidenced by Licensee entering into this Agreement), Licensee’s use of the Desktop Software is solely and exclusively governed by the terms of this Agreement. (c) Restrictions. Licensee may not, and will not permit or induce any third party to: (i) decompile, reverse engineer, disassemble or otherwise attempt to reconstruct or discover the source code, underlying ideas or algorithms of any components of the Desktop Software; (ii) alter, modify, translate, adapt in any way, or prepare any derivative work based upon the Desktop Software; (iii) rent, lease, network, loan, pledge, encumber, sublicense, sell, distribute, disclose, assign or otherwise transfer the Desktop Software or any copy thereof; (iv) use the Desktop Software in commercial timesharing, rental or other sharing arrangements; (v) remove any proprietary notices from the Desktop Software or any related documentation or other materials furnished or made available hereunder; or (vi) use the Desktop Software as a server or for Windows server. In addition, unless Licensee’s use of the Developer Edition is subject to the terms of a Subscription Agreement, Developer’s use of the Desktop Software is limited to use with graphs with less than 1 billion nodes and less than 5 billion relationships. Licensee agrees to comply with all applicable local, state, national, and international laws, rules and regulations applicable to Licensee’s use of the Desktop Software.